‘The Voice Senior’ is the next edition of The Voice spinoff shows. Contestants must be at least sixty years old to participate. The coaches for Season 1 are Flemish artist and performer Natalia, Belgian singer Walter Grootaers, Belgian tenor singer-songwriter Helmut Lotti, and Belgian singer Dana Winner. 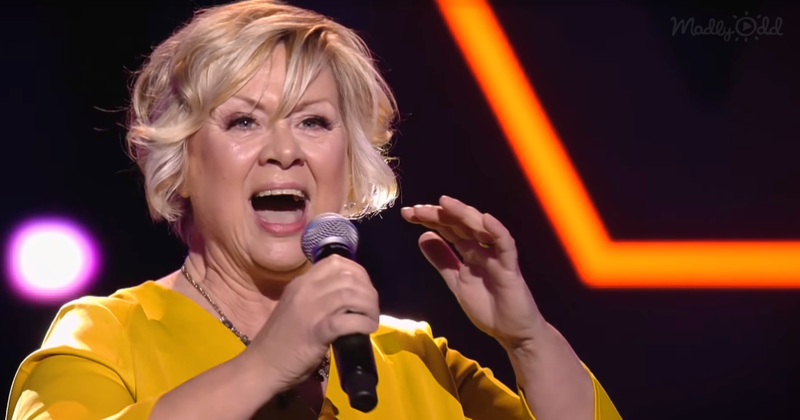 Even though sixty-five-year-old Rita Roelandt from Herzele has been singing since she was sixteen, she had given up on a singing career long ago. Rita initially didn’t even want to audition for the show, but her daughter Jessey signed her up anyway. So, she had little choice but to go ahead with the audition. To imagine, this amazing talent almost stayed undiscovered! For her blind audition, Rita chose the song “At Last,” a song made famous by rhythm and blues singer Etta James in 1960. The song has also been covered by other well-known artists like Celine Dion and Beyoné, and in 1999 it was inducted into the Grammy Hall of Fame. Rita had some big shoes to fill. Dressed in cheery yellow, Rita took center stage as her family backstage blew her kisses for good luck. It only took a few measures before coach Helmut Lotti turned his chair for the amazing voice he had heard behind him. Rita’s voice was like smooth velvet and seemed to just relax everyone. The other coaches listened intently as Rita became more comfortable and confident in her song. A second buzzer was hit, followed shortly by the other two coaches. She left a lasting impression on the judges as well as the audience with her heartfelt performance. After listening to the coaches’ input and praise, Rita finally chose to join coach Helmut Lotti’s team. Once Rita took the stage and sang, she realized that her love of singing had never left. Now all she wants to do is continue performing on stage. How far do you think she’ll get in the competition?